The Milwaukee Bucks are trying to hold off the Toronto Raptors for the top spot in the East, but that job just got tougher because of a key injury. Bucks forward Nikola Mirotic has a fracture in his left thumb, the team announced Wednesday. The team did not give a timetable for his return, but sources confirmed to ESPN that Mirotic will miss about two to four weeks. The Athletic first reported the injury. The Bucks are also without starting point guard Malcolm Brogdon, who is expected to miss six to eight weeks with a minor plantar fascia tear in his right foot. 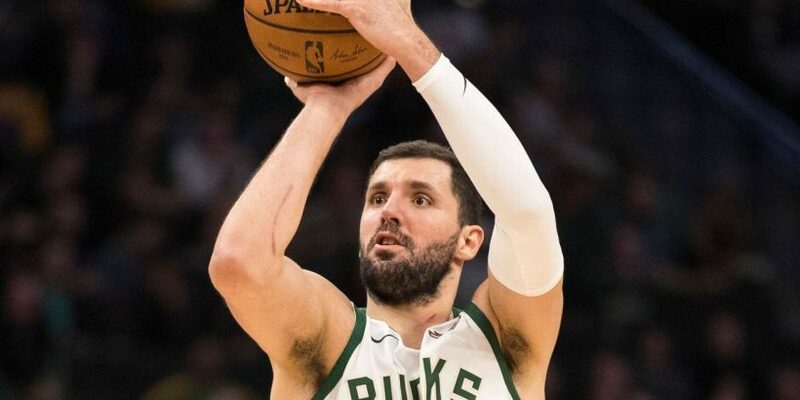 The Bucks acquired Mirotic, who is 28, from the Pelicans at the trade deadline for Jason Smith, Stanley Johnson and four second-round picks. After averaging 16.7 points and 8.3 rebounds per game for New Orleans, he has averaged 11.6 points and 5.4 rebounds per contest for Milwaukee. The Bucks are 10-4 in the games he’s played for them. That has helped Milwaukee build a three-game lead in the Eastern Conference. NBA trade rumors: Should Rockets go all-in on Jimmy Butler?